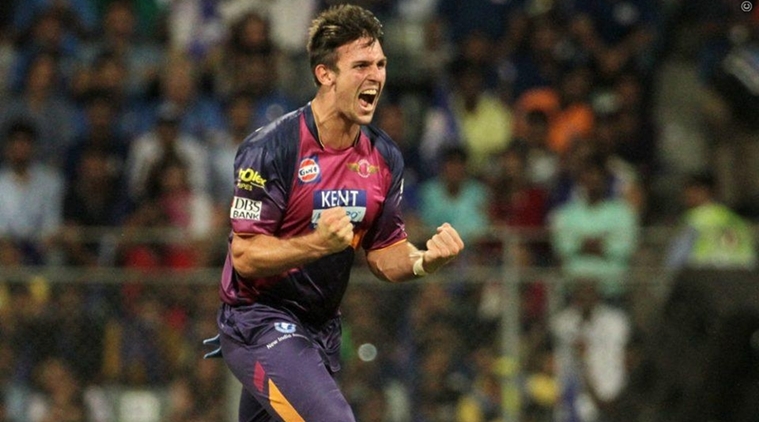 Australia all rounder Mitchell Marsh had been ruled out from rest of the 2016 IPL season with a side strain. Already dwindling Rising Pune Supergiants got another stroke after Mitchell Marsh had to exist the rest of the season following a side strain. Thus Marsh became the third player who had to pull back from the team due to injury after Kevin Pietersen and Faf du Plessis. “Once we have a better understanding of the extent of the injury we will be able to advise on his return-to-play timeframes,” they added. The news of Marsh not playing the rest of the tournament was a bolt from the blue for the new entrants ‘Rising Pune Supergiants’ as they are currently drowning in the bottom with Kings XI Punjab in this IPL. Marsh played only three matches for Supergiants’ out of seven that they have played this season. He took four wickets at an economy rate of 5.00. He batted once and made 7 runs. Supergiants won only two of those seven games and are on the 7th spot competing against total of 8 teams this season. Marsh will return home to recover ahead of Australia’s tour of the Caribbean in June.